HomeIs The Christmas Buildup for the Birds? Is The Christmas Buildup for the Birds? Now, I am not particularly ornithologically inclined. So while I can recognise today’s build as a couple of birds, I am hard pressed to pick the actual species. 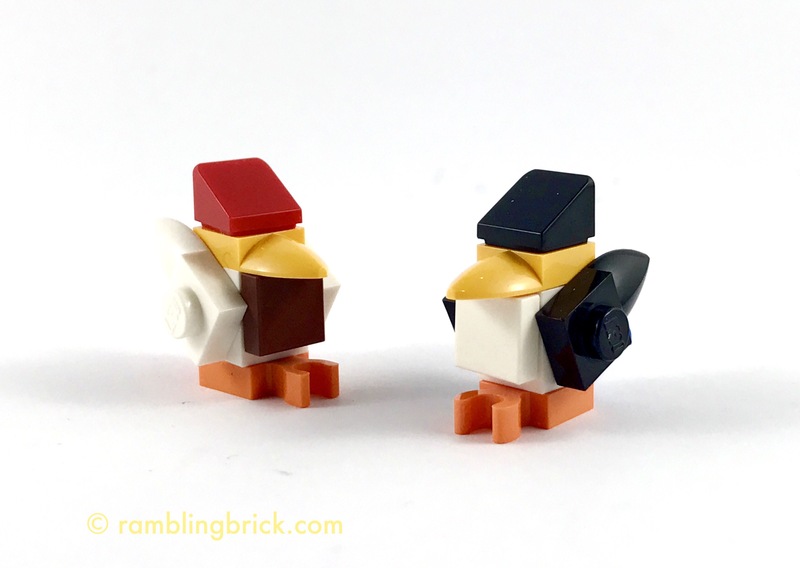 Each bird is made of eight pieces, making today’s build amongst the simplest that we have seen in this particular series. With two days to go, and only one more model revealed on the box art, I am left wondering what is in store. It’s beginning to feel a bit exciting.